If you love someone tell him or her. Forget about he rules or the fear and looking ridiculous. 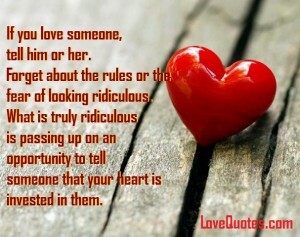 What is truly ridiculous is passing up an opportunity to tell someone that your heart is interested in them.